Over the last 2 years we have been constantly accumulating high asset quality Indian Private banks and we have mentioned the same to our followers on twitter. Ir-respective of which Party comes to power to Govern India, modern Indian private banks have always been on the leading edge of innovation offering bouquet of financial services leveraging the power of Information Technology. During the late 90s they were the first one to begin with Computerized Banking. In the 2000s they invented Internet Banking and in the last few years they have taken the power of banking to your mobile. Appreciating and leveraging technology is something which is helping them gather mass base of retail clients who are not like Vijay Mallya or Crony Political Capitalists. Understanding the customer needs with external alliances will drive relationships with the help of cutting edge technology. Digitizing the supply chain of B2B customers through ‘Application Programme Interface’ is just one of the innovations. 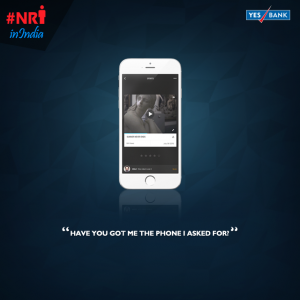 Various first and many exclusive digital initiatives are being taken by Yes Bank. Besides, usual mobile banking, wallet offerings, the bank is looking at ‘UltraCash’, ‘Bank in a Box’, ‘SIM Sleeve’ (details inside) to drive in retail, corporate customers. The bank expects ~20% of new customers to be sourced from digital mode boosting efficiency and allow for cross-sell. Besides being private bank, they have no legacy, and hence, can continue doing the same thing (open branches, get deposits and lend to borrowers) at a superior growth rate (vs. sector) and attain the desired market share. Competition, going ahead, will be stiff, in our view, from new ‘payment banks’ and ‘small finance banks’ licenses doled out by the RBI. Besides the internal work undertaken by the bank on the retail/digital side, what will also work in favor of these Banks is them gaining market share from government banks and some foreign banks and old private banks. These banks are looking first at ‘the use case for any technology for its customer’s then design the product vs. throwing digital product at the customer’. Finally, and more importantly, these banks are building a ‘digital first’ approach within the bank, which in essence will drive everything around customer experience. The bank expects around 20% of its new retail customers to be sourced from digital banking channels that will provide enhanced efficiencies and also help in cost reductions.